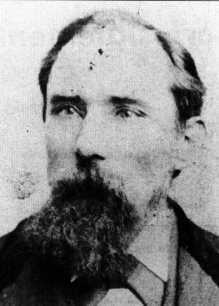 On December 18, 1878, the last of the Molly Maguires, John Kehoe is executed in Pennsylvania. The Molly Maguires, an Irish secret society that had allegedly been responsible for some incidences of vigilante justice in the coalfields of eastern Pennsylvania, defended their actions as attempts to protect exploited Irish-American workers. In fact, they are often regarded as one of the first organized labor groups. In the first five years of the Irish potato famine that began in 1845, 500,000 immigrants came to the U.S. from Ireland (nearly half of all immigrants to the U.S. during those years). The tough economic circumstances facing the immigrants led many Irish men to the coal fields in the mountains of eastern Pennsylvania. Miners worked under dangerous conditions and were severely underpaid. Small towns owned by the mining companies further exploited workers by charging rent for company housing. In response to these abuses, secret societies like the Molly Maguires sprung up, leading sporadic terrorist campaigns to settle worker/owner disputes. Industry owners became increasingly concerned about the threat posed by the Molly Maguires. Franklin B. Gowen, president of the Philadelphia and Reading Coal and Iron Company, hired the Pinkerton Detective Agency to infiltrate the secret society and find evidence that could be used against them. James McParlan, who later became the most celebrated private detective of the era, took the high-risk assignment and went undercover within the organization. For more than two years, he established his place in the Molly Maguires and built trust among his fellow members. Eventually, several Molly Maguires confessed their roles in the murder to McParlan. When he was finally pulled out of the society in February 1876, the detective's information led to the arrest and conviction of 19 men. In June 1877, 10 Molly Maguires were hanged on a single day. 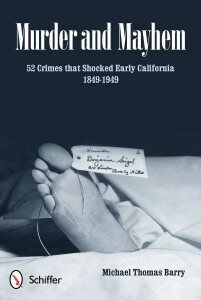 In December of the following year, Kehoe was arrested and hanged for the 1862 murder of Frank Langdon, a mine foreman, despite the fact that it was widely believed he was wrongly accused and not actually responsible for anyone's death. Although the governor of Pennsylvania believed Kehoe's innocence, he signed the death warrant anyway. Kehoe's hanging at the gallows was officially hailed as "the Death of Molly-ism."